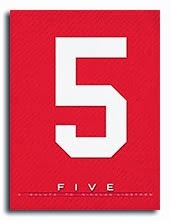 Part of the celebrations this week as the Detroit Red Wings honour Nicklas Lidstrom by retiring his number is the unveiling of the limited edition book Five: A Salute to Nicklas Lidstrom. The book will be available on March 6, 2014. Only 15,000 copies are being printed. The Detroit Red Wings have produced similar books for Gordie Howe and Ted Lindsay. They are heavy on beautiful photography and solid commentary. At this time I'm not even sure how to get copies. They are not listed for sale on Amazon or Chapters and I do not see it at DetroitRedWings.com at this time.